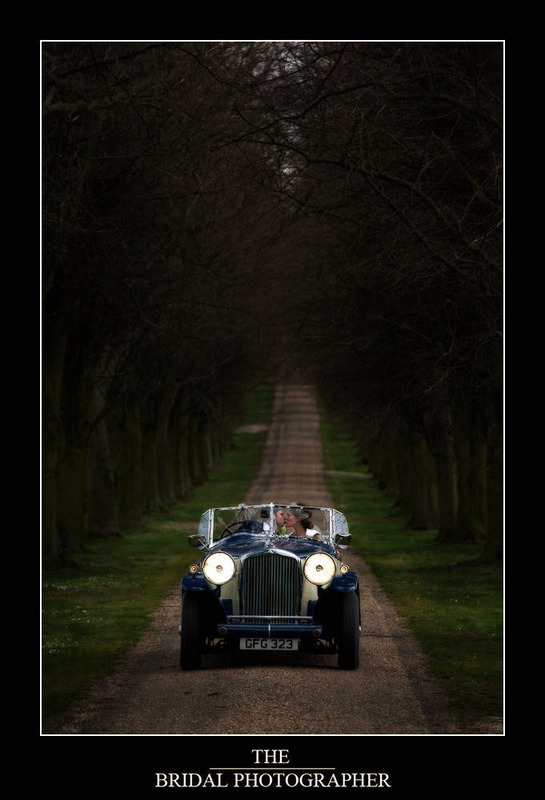 As I was just downloading the cards from yesterdays wedding at Notley Abbey I was struck by this image with the old Bently car driven by the groom Dan coming out of the dark rows of trees lining the driveway headlights blazing. This was an amazing wedding where it was almost certain to be dominated by rain yet we had almost cloudless blue sky’s later on………..incredible who would have thought it! The fact the couple are kissing makes this image for me……….who says you shouldn’t kiss and drive at the same time!